It’s Friday, people! By this time next week we’ll all be waking up from our turkey comas and trying to scrape together bail money for that one aunt who punched a man for the last $1.99 DVD at the Black Friday sale. 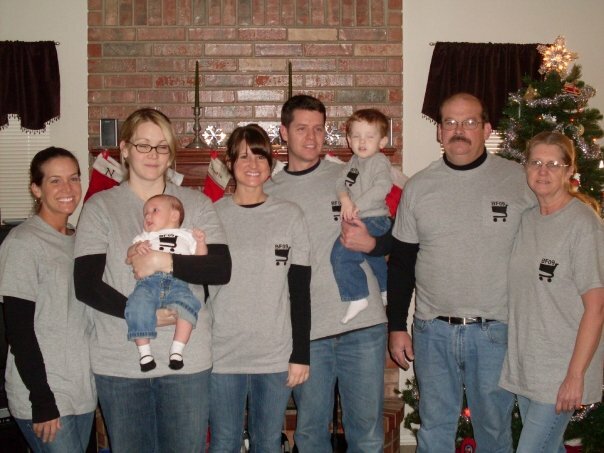 Ah, family. But before you get frantic over family and food, take a deep breath, relax, and enjoy all the geeky goodness I have to share! You guys. Are you sitting down? If not, do it now. Are you sitting? Good. Lego recently announced six new sets coming to stores next year and three of them are from two of our favorite fandoms! Oh yes, you heard that right! The Big Bang Theory AND Doctor Who will be getting their own Lego sets! I am seriously geeking out over here! I have already posted these bad boys on my Christmas 2015 list on Amazon! What do you think? And if it looks familiar, here’s why. And speaking of movies, I saw The Hunger Games: Mockingjay Part 1 last night and It. Was. AH-MAY-ZING! Seriously. I think this is the BEST one so far! The acting was great, the effects were so superb I fought back tears multiple times, and the sets totally blew what I had pictured out of the water! Even though I’ve read the book three times, my heart pounded, I covered my eyes, and hoped upon hope that things would work out (even though I knew the ending). Plus, J.Law’s rendition of The Hanging Tree was ON. POINT. Ah, Friday. Once again you grace us with your beautiful presence and boatloads of geeky gossip and fangirl fabulosity to get us through the last few hours of the grind! And he’s not just doing this so we can all bask in the glory of Benedict’s beauty. This is one of many shots taken for the “Give Up Clothes for Good” campaign, benefiting cancer research! Its a win-win! In other crush-worthy-television-nerdy-boy news, the final season of How I Met Your Mother is going to be released on DVD in just 4 days! There’s going to be tons of bonus extras, including a MUCH better ending to the tale of Ted Mosby (but you can watch it before you buy it here) and we FINALLY get an answer to the question that’s been plaguing us since Season One: WHERE DID THE PINEAPPLE COME FROM?! Comic Con 2015 tickets go on sale in TWO months, people! Hear that, Huff the Hubs? TWO. MONTHS. I think I need to start getting my cosplay outfits ready. 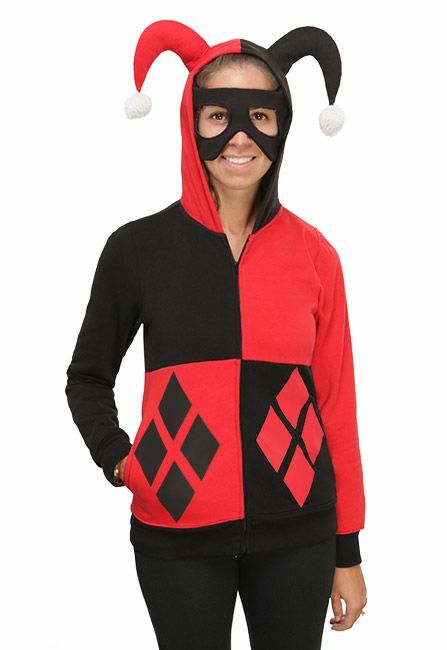 Starting with this a-dork-able hoodie from Think Geek! Isn’t it awesome?! I must has the precious! 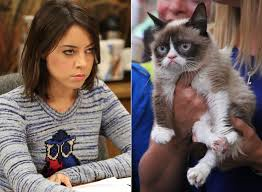 Whenever I’m asked what my spirit animal is, its an easy answer: Grumpy Cat. I freaking love that feline! Even though she hates everything, I adore her (yeah, GC is totes a girl!). Which is why I am extremely excited that Lifetime is doing a movie about the kitty this winter. And the voice of the angsty cat? None other than Parks and Rec star, Aubrey Plaza! Isn’t that perfect?! We hate all the same things. Do you realize that there are only 96 days until Christmas?! Let that sink in. 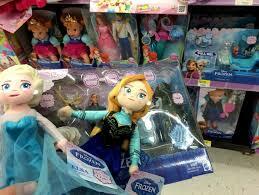 And, if you’re like me, you know about half a dozen little girls who desperately want Frozen toys. If you’ve been to Target or Wal-Mart lately, you may have noticed that finding anything with Anna, Elsa, or Olaf’s face on it is like searching for a needle in a haystack. But, according to The Huffington Post, Disney manufacturers WILL be able to provide dolls, action figures, and dress up outfits for your Frozen fan this holiday season! Disney claims they learned their lesson after what happened with The Little Mermaid. Evidently, “researchers” thought that little girls wouldn’t want to play with dolls with red hair (idiots) so they ordered basically ZERO dolls and/or memorabilia! They lost out on a ton of cashola and kids all over were forced to pretend to be Ariel in their bathtubs because there were zilch dolls! Since getting Netflix, Huff the Hubs and I have found a new obsession: watching documentaries. There are probably about 35 documentaries in my Netflix list right now. Seriously. There have been so many that I’ve loved! We watched one that focused on an adorable betrothed couple with Downs Syndrome, one about the “real” Indiana Jones, and another about the life of Tolkien! But, out of all the ones we’ve watched, I definitely have ULTIMATE favorites. This documentary was absolutely heart-wrenching. I know it was the director’s intention–I’m not so naive to think that this (or any documentary) is made to not get an emotional reaction from its viewers–but this documentary really struck a chord with me. The main focus of the documentary centers on Tilikum, a male orca now owned by Sea World, and the abuse and neglect he suffered, as well as injuries he caused. 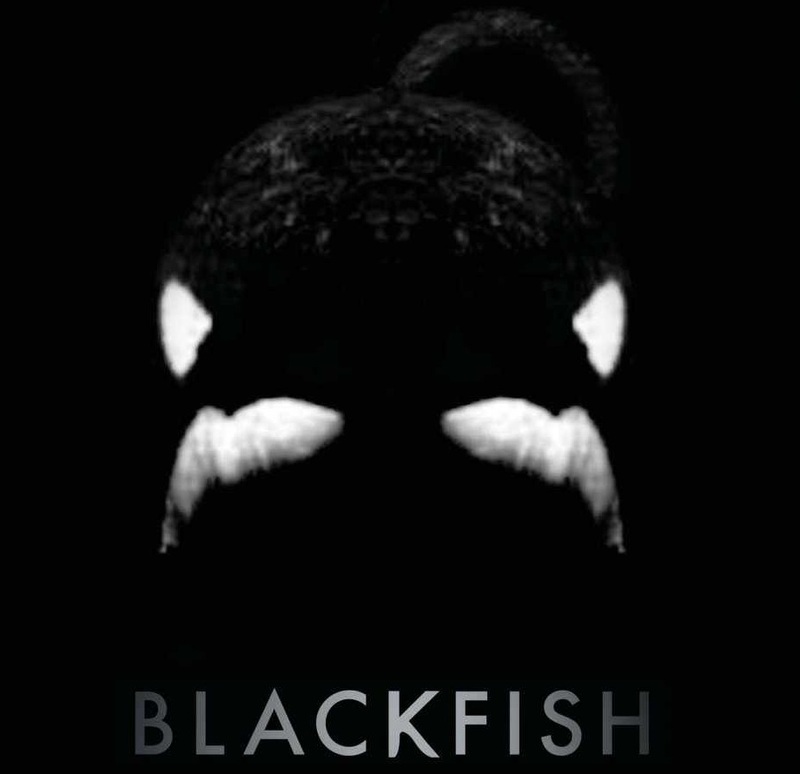 I got A LOT of flak for saying that I would never go to Sea World after I saw this film. Which is fine. Not everybody that watched it had the same reaction I did. But that’s the great thing about America, people. We can have differing opinions. This isn’t Panem. 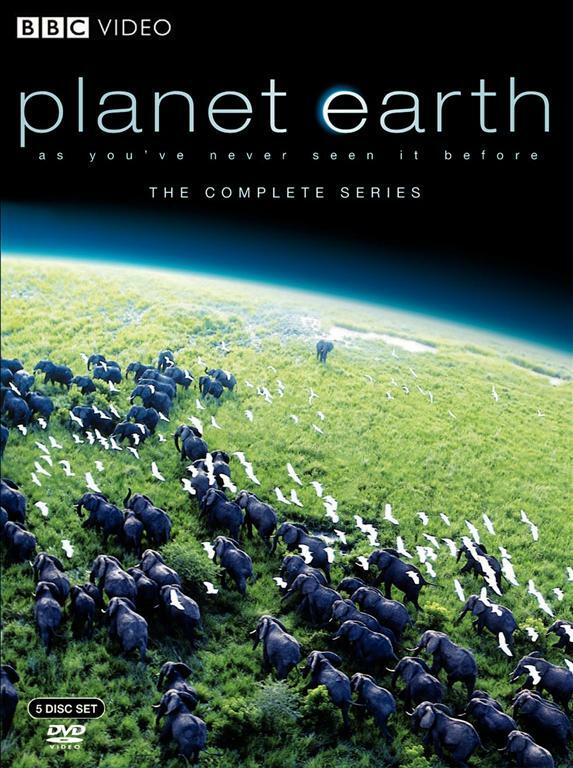 I actually turned this documentary on the other morning to have as background noise while I worked. I got sucked in within the first 10 minutes and subsequently got 2 hours behind on my editing. But it was worth it. This documentary brings to light the under-representation of women in leadership positions in America, and challenges how the media portrays what it means to be a powerful woman in today’s society. 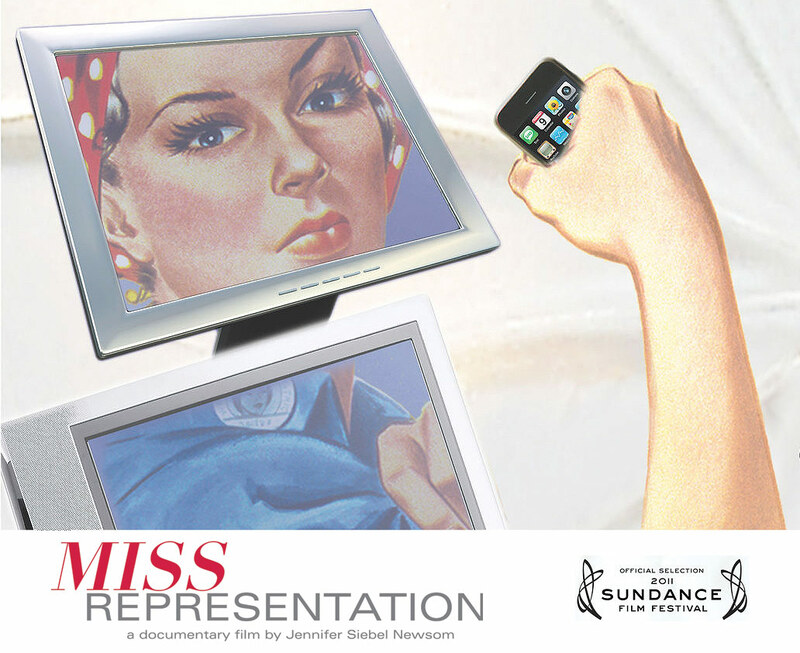 There were certain parts of the documentary I didn’t agree with, but all in all, I thought it was great at showing how mainstream media really makes it unfair for women to be seen as more than just “props”. This 2005 documentary didn’t really hit me like the others did. However, it did open up a lot of debate between me and HtH. In The High Cost of Low Price, the filmmaker speaks with former and current Wal-Mart employees as well as small business owners that the national chain has put out of business. I did think there were a lot of things that Wal-Mart did that was wrong (such as asking their employees to donate money for struggling employees–which they did and raised over $9 million–when the Walton family only donated $6K and the openly sexist managers) but there were other parts to it that I didn’t quite agree with. They talked a lot about how the small, “Mom-and-Pop” businesses were being forced to close their doors once a Wal-Mart came to town. Which, yes, it was so sad to see these people who had worked their lives to create a business, have to box up their inventory and board up their windows. 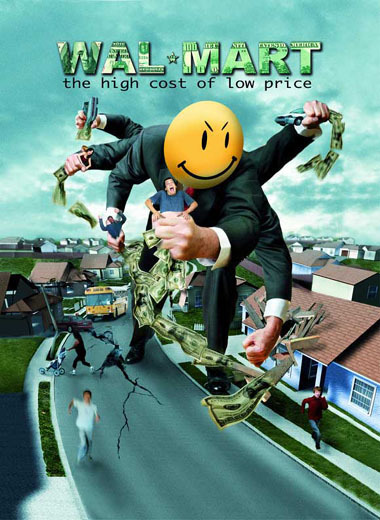 However, that’s just the nature of the beast in a capitalist society. Businesses come and businesses go everyday. 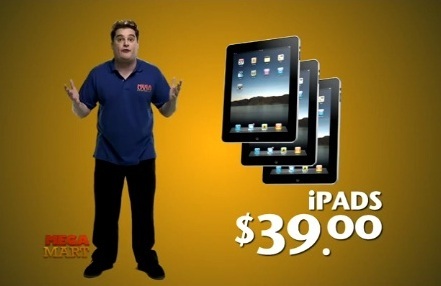 Would I rather frequent a smaller, family operated store than a big conglomerate? Of course. I think its important to support those businesses. However, if I can get something substantially cheaper somewhere else, I’m more inclined to go there so I can make my dollars stretch. Do all of these documentaries have a bias? Yes. Do they all have valid points? Yes. Are they worth watching? Oh, YES. You may not agree with my take on these documentaries, and that’s fine! You don’t have to. I think what’s important to remember when watching documentaries is that these films are making us talk. They’re making us think outside of ourselves and take a look at the bigger picture and making us discuss the world around us. Films like these have the potential to bring about change and improvement. And that’s worth watching! Tomorrow is Thanksgiving. Are you excited?! I hope you all have a happy Thanksgiving and a safe Black Friday! I’ll see you Monday! Happy Friday/first day of November! Most of you are probably counting down the hours to the weekend so you can’t stop checking the clock and head home to scarf down the buckets of candy you scored last night. Or invoke your “Parent Tax” and steal some from your kids. It may not be chocolaty goodness, but I do have some treats to quench your fandom hunger! If Hermione didn’t already have the COOLEST night light ever, I may be tempted to get this! 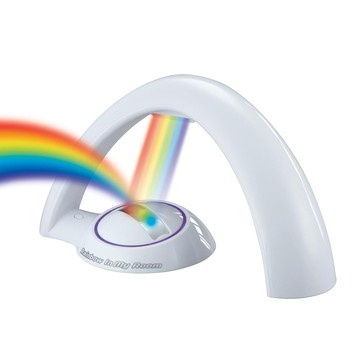 It’s a light that projects a rainbow throughout the entire room! Sadly, no pot of gold at the end of it. 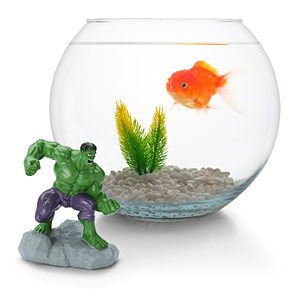 Think Geek has these awesome Marvel aquarium accessories! There’s Spidey, Hulk, Iron Man, Thor, and Wolverine! I may get them just to put on my desk! On sale now at Flourish and Blotts! 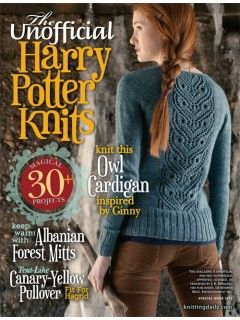 You ca knits all kinds of wizarding world wonders with the Unofficial Harry Potter Knits guide! Maybe make your favorite blogger a Weasley sweater for Christmas…? Guys. Its November. You know what that means. My favorite holiday–Black Friday–is only a few weeks away AND The Hobbit: The Desolation of Smaug will be in theaters before we know it! In the spirit of all things hobbit, I saw this on Pinterest and had to share with those of you that don’t watch The Simpsons as religiously as HtH and I do. With Thanksgiving only a week away, I did two things: 1., freaked out because I haven’t packed for our ski trip (we leave the day after Thanksgiving) and 2., thought about all of my favorite Thanksgiving memories. Most of them, in one way or another, involve some aspect of pop culture. In The One with the Rumor, Monica makes an entire turkey JUST for Joey. She tells him he absolutely must eat the entire turkey since he begged for one. And, of course, hilarity ensues. For those Oklahomans out there, you know the holidays are upon us when the BC Clark Jingle/commercial starts running on air. It just doesn’t feel like Thanksgiving/Christmas/Hanukah/Kwanzaa without it. And even though it has Santa in the ad, the commercial usually begins its campaign on Thanksgiving. I still love watching the parade! It makes me feel like a kid again (you’d think the abundance of Legos and Doctor Who plush toys around this childless apartment would help in that area) and makes me think of simpler times. I love loafing around in my jammies, eating cinnamon rolls and watching people try to hold on to the ginormous balloons. I. LOVE. BLACK. FRIDAY. Its basically a whole ‘nother holiday in my family. 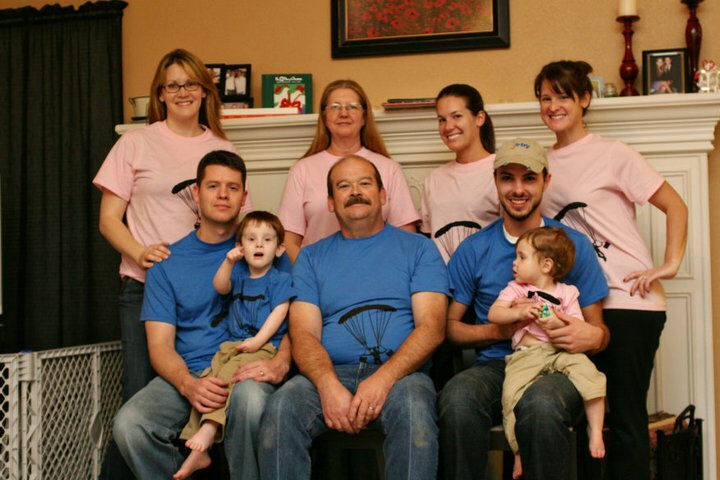 We make shirts, form teams, and really get into it. After we shop, we normally rendevouz at the local Waffle House to exchange war stories over fried eggs and coffee. BF ’09. Left to right: Iceman, Hollywood, Charlie, Goose, Maverick, Jester, Viper, and Cougar. BF ’10. “Paratrooping for Deals”. New recruit: Merlin. 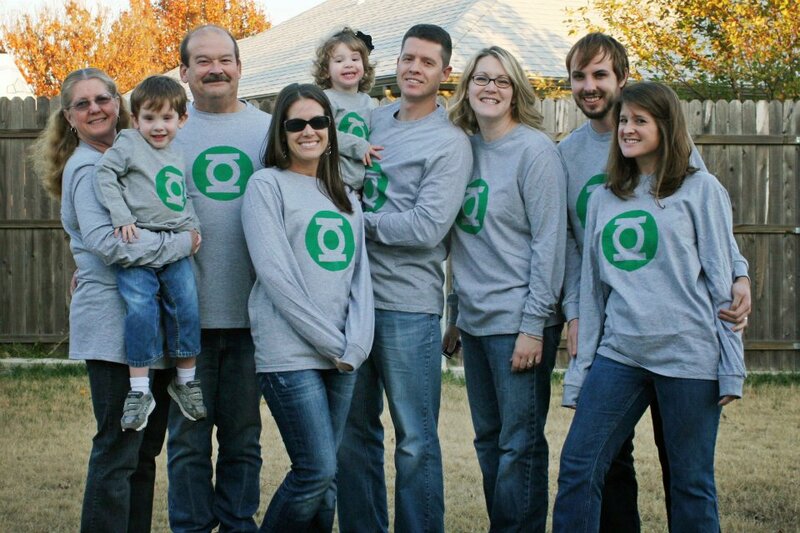 Thanksgiving before last, my family was primed and ready for Black Friday. Even though I had bronchitis/strep (that I later passed to everyone in my family) we still went out for the shopping event of the year. We also laughed ourselves silly at Anne Hathaway’s hosting gig on SNL. 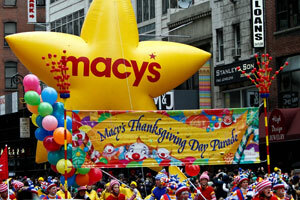 What are you most looking forward to on Turkey Day?